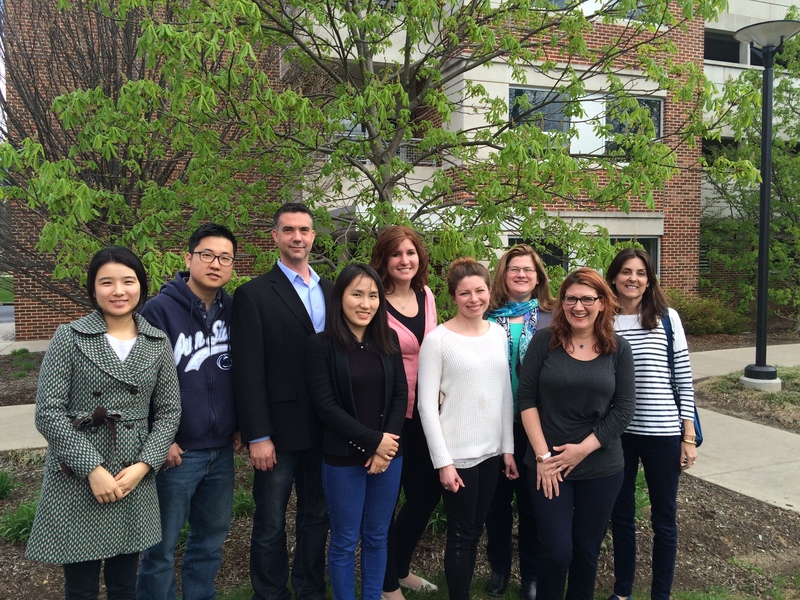 Welcome to the Augmented and Mobile Learning Research Group at Penn State. 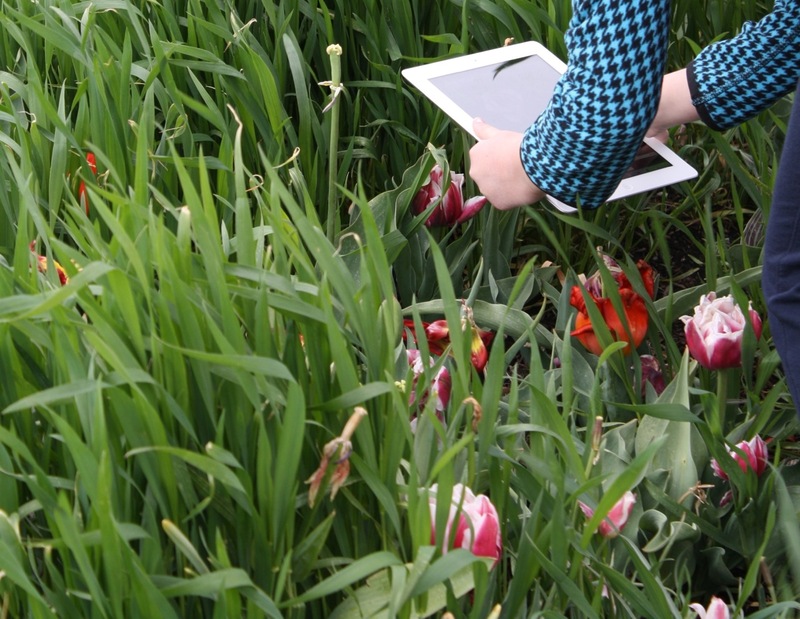 A learner using an iPad to augment tulips with additional information while in the gardens at the Arboretum at Penn State. We are university researchers who conduct research on pedagogies and designs to support learning with mobile computers. Our perspective combines theories from informal learning, place-based learning, and technologically-enhanced learning to create learner-centered environments deployed on mobile computers. Our largest project is called Tree Investigators, where we support children and families to learn science together in out-of-school time. Tree Investigators brings together augmented reality technologies, digital resources, and scaffolds to encourage science conversations in outdoor informal sites. Our partners in this work are the Arboretum at Penn State, Shaver’s Creek Environmental Center, and the Center for Pollinator Research. For more information, go to our Current Projects tab or click here.